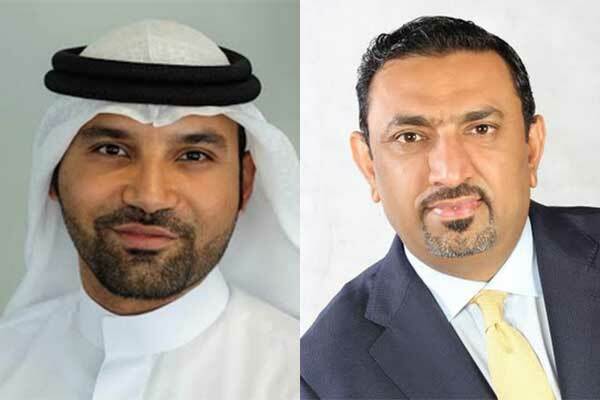 Bahrain FinTech Bay (BFB) has launched the Global Islamic & Sustainable FinTech Center (GISFC) with local, regional and international members aiming to bolster the use of fintech to drive the next phase of growth in Islamic finance. GISFC builds on BFB’s diverse network of partnerships locally, regionally and internationally, and the launch of the GISFC reaffirms Bahrain’s distinguished position as the global leader in Islamic finance and banking. GISFC’s launch partners include the Accounting and Auditing Organization for Islamic Financial Institutions (AAOIFI), the Islamic Corporation for the Development of the Private Sector (ICD), South-East Asia’s Islamic Fintech Alliance, Ethis Ventures - an Islamic crowdfunding platform across Malaysia, Indonesia and Singapore, Al Baraka Banking Group – the world’s largest Islamic banking network, Al Salam Bank, Arab Financial Services, Arcapita, Bahrain Institute of Banking and Finance, Bahrain Islamic Bank, Finastra, Finocracy, GFH, IdealRatings – a fintech focused on Islamic finance and sustainability headquartered in the US, Ithmaar Bank, Kuwait Finance House, Roland Berger and Waqfe. GISFC aims to onboard more partners as it seeks to drive the Islamic and sustainability FinTech development agenda and to focus on providing thought leadership and expertise in shariah compliant fintech. Globally, major centres of Islamic finance have been undergoing regulatory reforms and introducing initiatives such as regulatory sandboxes to encourage further innovation in their ecosystem. Such innovations are aimed at allowing the industry to capture new customers and achieve long term growth. Additionally, sustainability has become a central and strategic focus for financial institutions worldwide. Dr Ali Adnan Ibrahim has been appointed as chairman of GISFC. He is head of Sustainability & Social Responsibility at the Al Baraka Banking Group in Bahrain and is also a World Economic Forum Young Global Leader, and leads the Social Credits Initiative, which seeks to combine finance and technology to incentivize private investments for sustainable development and is Chair of the Sustainable Development Committee of the Bahrain Association of Banks. Dr Ali has been published internationally and his areas of interest and expertise include Islamic and sustainable finance, Industry 4.0, impact investing and blended finance, market-based strategies for financial inclusion and enterprise development, the intersection of impact and faith, microfinance, foreign direct investments, and financial regulation. Khalid Saad, CEO of Bahrain FinTech Bay said, “Islamic finance has the potential to onboard over a billion new customers through the use of technology, helping attain sustainable and long-term growth. Additionally, the world is increasingly shifting towards innovation that promotes sustainability. “Through the launch of GISFC, we aim to bring together key stakeholders in the industry to help shed light on how FinTech can help attain such growth in a sustainable and responsible manner. As a leading regional FinTech and global Islamic finance hub, Bahrain is at the forefront of driving Islamic and sustainable Fintech. We are delighted to have someone of Dr. Ali’s calibre to head such an important initiative”. Dr Ali said: “I am deeply honoured by this trust. Islamic finance and sustainability share a huge common ground. While Islamic finance is fast approaching the three trillion dollar mark, sustainability is one of history’s biggest disruptors. Islamic and sustainability FinTech solutions can help solve several social and economic challenges, and, while doing so, such solutions will create massive economic value including investment opportunities for individuals and businesses.